Another cruise ship is to join one of the worlds busiest cruise ports. Carnival Vista will sail from Miami, Florida all year round from end of 2016. 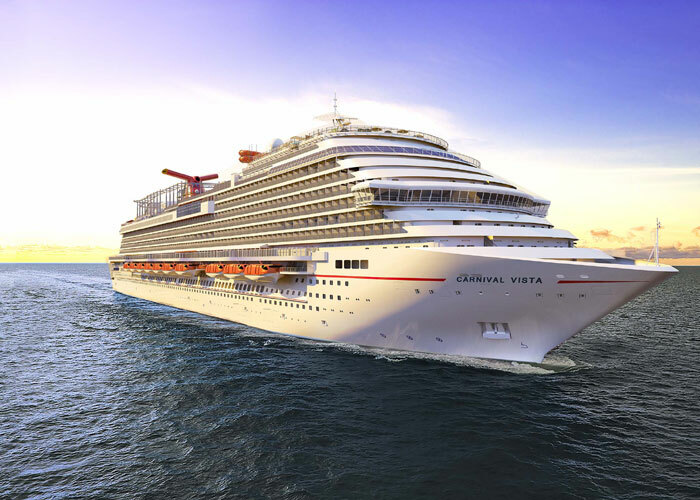 Cruise Hive previously reported that an agreement between PortMiami and Carnival will bring the Carnival Vista to the sunshine state and now Carnival Cruise Line has made it official. The 133,500 gross ton ship will sail six- to eight-day Caribbean cruises beginning in December 2016 and Carnival Vista will be the largest ever Carnival ship to sail from the port. Before sailing from Miami the new vessel will sail a range of inaugural cruises in Europe and then from New York. The inaugural voyages will be from May to October 2016 before re-positioning to America. New York was also the location where Carnival Vista’s details were first revealed in January 2015. The ship will operate a pair of voyages round-trip from New York beginning with a three-day cruise November 4-7, 2016, followed by an 11-day voyage departing Nov. 7, 2016. From Miami a special 4-day cruise will sail to Grand-Turk before it’s regular year-round six- and eight-day cruises begin on December 3rd 2016. Six-day cruises feature Ocho Rios, Grand Cayman and Cozumel, while a mix of different eight-day itineraries visit some of the Caribbean’s most sought-after destinations, including Aruba,Curacao, Bonaire, Grand Turk, San Juan, St. Kitts, St. Maarten and La Romana (Dominican Republic). In addition Carnival Cruise Line has also announced some changes with other cruise ships in the fleet. Carnival Liberty and Carnival Breeze are to be redeployed to Galveston Texas. Carnival Liberty will begin sailing from March 21st on year-round four- and five-day cruises to Mexico. Carnival Breeze will sail a Western Caribbean cruise and also a Bahamas/Florida cruise starting on December 11th, 2016.